The saxophone’s versatility may be regarded as both a blessing and a curse. The instrument’s relative modernity (it was invented by Adolphe Sax in the mid 19th century) means that it has been written for in a wide range of genres, from jazz to pop to classical. Yet in the latter realm there is also a risk that the instrument’s associations with other genres can lead to underestimation and pigeon-holing; that the saxophone’s use in a classical context is to evoke jazz rather than fully to explore its innate sonorities. It takes composers and arrangers of great skill and imagination to step outside these stylistic boxes and to hear the saxophone on its own terms, often blurring the boundaries between genres in the process. For this recording, we hear the saxophone’s capacity for classical expression in works largely written before the instrument was invented; before the other genres with which it is so often linked had emerged. Freed from those links, it is refreshing to hear the instrument’s capacity to take on repertoire with which it is not traditionally associated. Famously arranged for solo keyboard by J. S. Bach (BWV974) in 1715, the Oboe Concerto in D minor has been attributed variously to Vivaldi, to Benedetto Marcello, and, ultimately, to his brother Alessandro Marcello. The work opens with an elegant movement, Andante e spiccato, a marking which indicates that the strings should play with their bows bouncing on the strings – an effect translated to the piano through the crisp separation of notes. The central Adagio is characterised by a plaintive melody and gently pulsing accompaniment, and the concerto ends with a vigorous Presto. It is possible that Die Forelle was amongst the songs to be performed, as it was in these congenial surroundings that Schubert met patron of the arts Sylvester Paumgartner, who commissioned the ‘Trout’ Quintet on condition that the song be used at some point during the chamber work. 18th-century dance styles. Grieg composed the suite in 1884 to mark the 200th anniversary of the birth of playwright Ludwig Holberg (1684-1754). Both Grieg and Holberg were born in Bergen in western Norway, and Grieg chose to commemorate the writer by conjuring up the dance suites of Holberg’s era. The suite consists of five movements, and was originally composed for piano before Grieg made his more famous arrangement for string orchestra. The penultimate movement, Air, is marked Andante religioso, indicating the piece’s reverent tone, although the music swells to moments of real intensity; even in the context of emulating the past, Grieg’s voice sings through. It is ironic that The Carnival of the Animals, a work composed strictly for private performance, has become perhaps the most popular of all music by Saint-Saëns. Despite illustrious figures such as Liszt attending the first performance, Saint-Saëns insisted that the work be published posthumously, only allowing one movement, Le cygne (The Swan), to be released during his lifetime. The penultimate movement of the suite, The Swan was published in 1887 in its version for cello and one piano (two pianos are used in the original). Whereas much of the Carnival is humorous in tone – which is why the composer resisted its public release, wishing to be taken seriously – The Swan is a serenely beautiful melody, deceptively simple but perfectly constructed to suggest the bird’s graceful progress through the water. 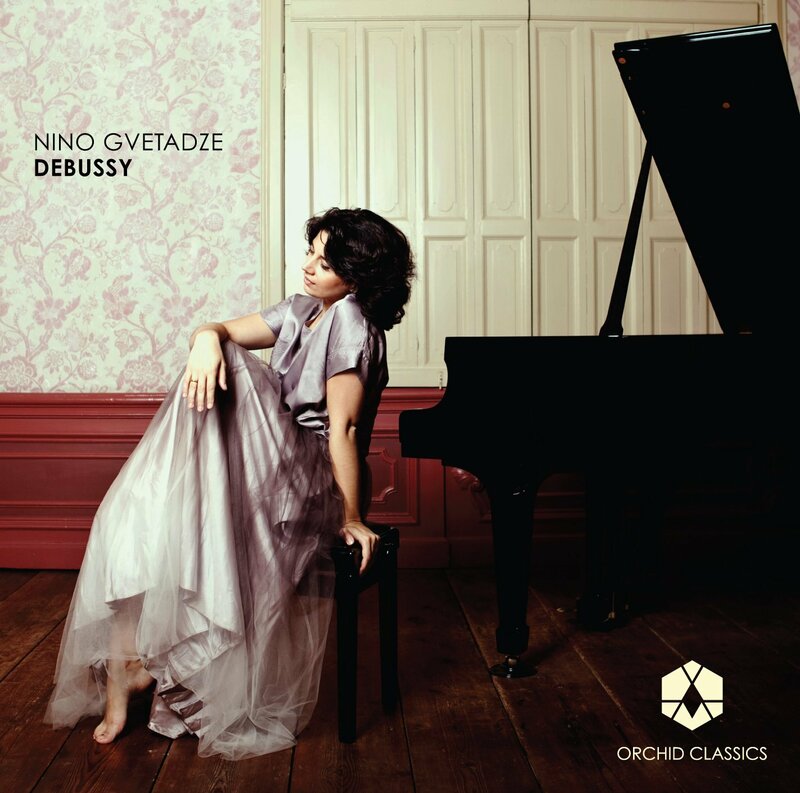 Debussy’s Deux Arabesques were completed and published in 1891, and represent his earlier, more Romantic style, popular in French salons at the time. The Arabesque No.1 is a dreamy, gently-undulating work given momentum by the piano’s rapid triplets. Taken from Debussy’s First Book of Préludes (1909-10), La fille aux cheveux de lin (‘The girl with the flaxen hair’) was partly inspired by a poem by Leconte de Lisle, but Debussy’s widow also suggested that this Prélude is concerned with “something else more definite, more real, far less literary, that I can’t commit to paper…” This play between the ethereal and the earthy is at the heart of the piece, in which an air of otherworldly innocence evolves into something deeply sensual, the saxophone’s sinuous tone well suited to Debussy’s seductive melody. Debussy also composed works specifically showcasing the saxophone, such as the Rapsodie for “orchestra and saxophone” (in that order) commissioned in 1901 by the American “saxophone lady” Elise Hall. Manuel de Falla’s Siete canciones populares Españolas were composed in 1914 when the composer was still in Paris; with the outbreak of World War One he would return to Spain. The set includes both authentic and adapted folk songs. El paño moruno comes from Murcia; de Falla would reference the tune in association with a Murcian miller in his ballet, The Three-Cornered Hat. TheSeguidilla murciana is in triple meter and is linked with the same region, whereas Asturiana evokes Asturias (a part of northern Spain famously conjured up by Albéniz in his piece of the same name). Jota is a dance form which begins with a rhythmical introduction, followed by a metrically fluid melody. An Andalusian lullaby, Nana, follows, its modal inflections shifting between major and minor. In Canción, an apparently simple melody unfolds, but with a more poignant undercurrent simmering beneath the surface, and the set ends with Polo, an Andalusian tune with strident accompaniment, passionately conveying the lover’s tale of woe. Paule Maurice composed the Tableaux de Provence, her most celebrated work, between 1948 and 1955, and the suite was published in 1960. Originally conceived for saxophone and orchestra, the work was dedicated to the French saxophonist Marcel Mule. Maurice had been inspired to capture the essence of Provençale life during a holiday spent in the region with the Mules and with her husband, fellow composer Pierre Lantier. Each movement is given a broadly picturesque title, the tableaux evoking an impressionistic series of images in music which shows a real understanding of the saxophone’s range of expression – from the comical to the alluring. Argentine composer Astor Piazzolla’s reputation has experienced similar issues of categorisation to the saxophone itself; while many have embraced his introduction of the tango into a classical context, there have been those for whom this cross-fertilization of styles has proven rather challenging. In the 1950s, so the story goes, Piazzolla was approached by a member of the orchestra whom he was conducting with the rather disdainful phrase, “I assume you are nothing to do with this Piazzolla who plays tangos.” However, Piazzolla’s teacher, the great Nadia Boulanger, had the foresight to encourage him to pursue his interest in the tango, arguing in 1954: “Here you have the real Piazzolla; Astor, be true to him”. Piazzolla’s Fugata was composed in 1969 and is a perfect example of his apparently effortless fusion of tango idioms with classical technique, applying the intellectual rigours of fugue, with its intricate, interweaving lines, to the tango style. Oblivion is one of Piazzolla’s most famous works. Composed in 1982, its mournful, long-breathed melody is well suited to the sonority of the saxophone. Rimsky-Korsakov’s Flight of the Bumble-Bee comes from his 1900 opera The Tale of Tsar Saltan, but has since taken on a life of its own as an independent showpiece. The Flight of the Bumble-Bee was originally composed for orchestra, but has been arranged for countless different instruments and even for the voice, its frantic flurry of notes brilliantly conveying the insect’s whirring trajectory. Born in 1953, Japanese composer Takashi Yoshimatsu’s output includes concerti for both alto and soprano saxophones. He wrote the Fuzzy Bird Sonata, Op.44, in 1991, the second movement of which is entitled ‘Sing, Bird’ (the first is ‘Run, Bird’ and the work ends with ‘Fly, Bird’). After a brief and mysterious introduction low in the piano’s register, the saxophone sings out an hypnotic melody. The undulating piano part supports and punctuates this soaring saxophone line, the contours of which conjure up the effortless freedom and spontaneity of birdsong; not an exact transcription in the manner of Messiaen, but unmistakeably evocative of avian voices, and a wonderful example of music which fully exploits the unique timbre of the saxophone. “Liquid gold tones and enviable breath control” The Times. “Impressive breath control… mellifluous fluidity” Seen and Heard International. 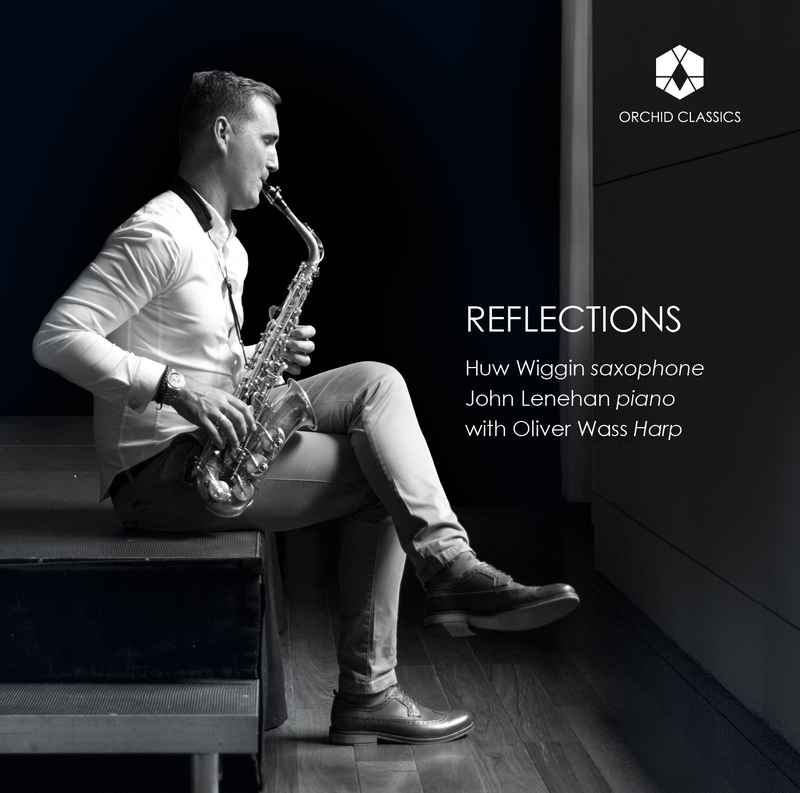 Commonwealth Musician of the Year, First Prize and Gold Medal Winner of the Royal Over-seas League Annual Music Competition, Huw Wiggin is one of the most popular saxophonists of his generation. He has performed in venues as far afield as the Forbidden City Concert Hall in Beijing as well as those closer to home, such as London’s Wigmore Hall. Huw is professor of saxophone at the Royal Academy of Music in London. A keen educator, he is also an ambassador for the Henley Music School and regularly gives masterclasses around the UK and abroad. Huw is also a member of the Ferio Saxophone Quartet and regularly performs with them in and outside the UK. Huw plays on Selmer Mark VI Saxophones. John Lenehan is one of the UK’s most versatile musicians. As pianist, he has appeared worldwide to great acclaim as soloist and in collaboration with some of the leading instrumentalists of our time. He has recorded more than 70 CDs and is also well known for his compositions and arrangements. Oliver Wass studied at the Guildhall School of Music with Imogen Barford. He has won international competitions throughout Europe, and in 2016, he became the first harpist ever to win the Guildhall Gold Medal. He has performed all the major harp concertos, including directing George Frideric Handel’s Harp Concerto in the Barbican Hall.